Wild Camping Alone – Is It Safe for Women? Why do you want to go wild camping alone? For me camping alone is about both independence and challenge. Being entirely dependent on your own resources is good for us, it allows us to make our own decisions and, maybe more importantly, live with the consequences of those decisions. There can be no doubt, that for most women (and a lot of men) wild camping alone represents a step outside the comfort zone. Is wild camping safer than campsite camping? This is one that is open to debate. For me, the more remote I am, the safer I feel. As far as wild camping is concerned, it depends which type of ‘safe’ you mean. On a campsite you have access to a phone, can often find another human and are accessible to the emergency services. When you are wild camping phone signal can be intermittent, people are in short supply and getting help out to you will take much longer. On the other hand, if you are worried about unpleasant types finding you alone in your tent, this is far less likely to happen if you are in the middle of nowhere. 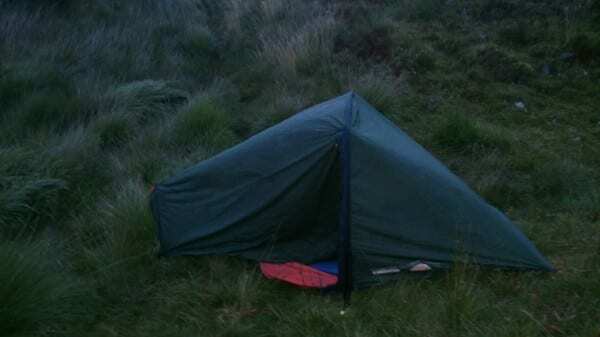 How can careful planning make a wild camping trip safer? Within reason, thinking about what could go wrong can help you to feel safer when you are wild camping. The preparedness of your camping kit can make a big difference and camping gear for women is pretty much the same as camping gear for men. Always carry a first aid kit, emergency dry clothing, emergency rations, a mobile phone (tucked safely in a dry bag at the bottom of your rucksack) and a map and compass. Planning your route can also increase your safety when wild camping, if you are on your own, plan a route that is well within your capability, you don’t have to walk for miles to find a wild and empty spot. You might want to avoid, for example, areas of bog, river crossings and crags. 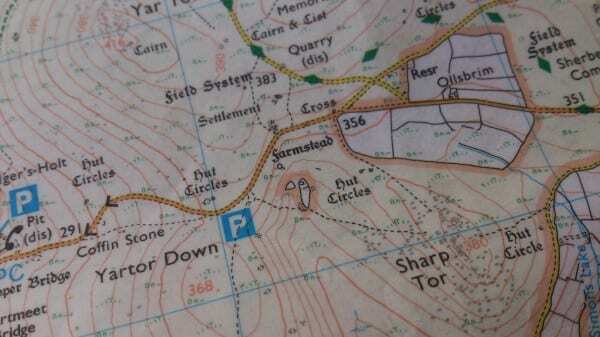 OS Maps offers great aerial and 3D options, which can help you to visualise a route before you try it. What skills do I need to go wild camping safely? 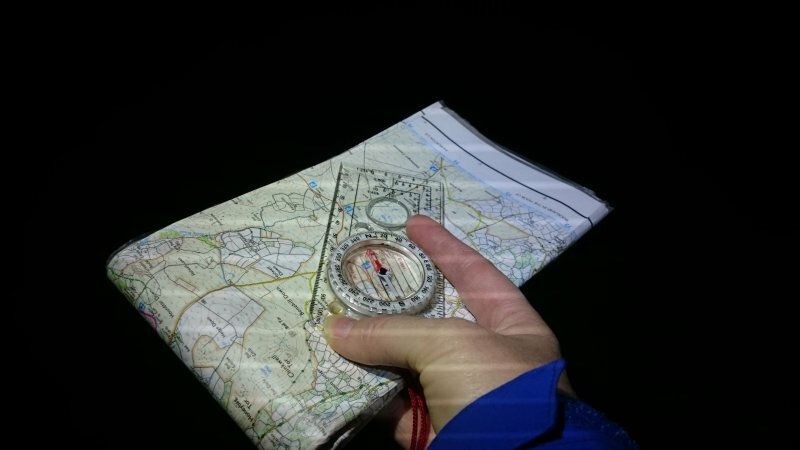 It would be foolish to head into the hills without navigation skills (we can help you with that), if you don’t have these you run the risk of walking into trouble or not knowing where you are should you need to ask for help. Basic camping skills are also useful but we have taken people wild camping who have never camped before and the majority of useful camping skills come through experience! We would also recommend at least a basic first aid course so that you know what to do if you (or someone else you meet) requires help. Who should I tell that I am wild camping alone? This question might be better phrased, ‘Who shouldn’t I tell when I am wild camping alone?’ Be wary of posting too much information about what you are doing on social media. Shout about your achievements when you arrive safely home but don’t give away that you are planning to be on your own, where you are planning to camp or even exactly when you are heading out. You should tell at least one trusted person where you are planning to camp, what your route will be and what time they can expect you to call and say you are home. Leaving a route card in your vehicle is no longer advised but leaving a phone number for your trusted contact could save a well-meaning passer by from raising an unnecessary alarm. 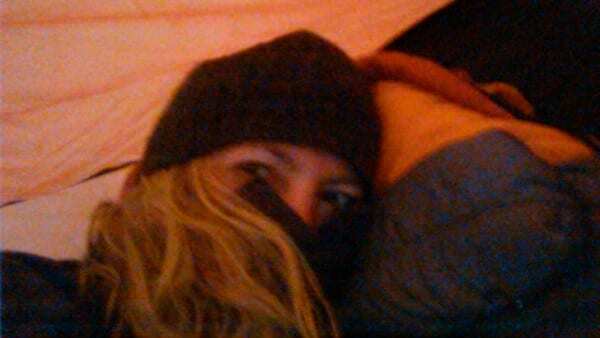 Were you scared when you went wild camping alone on Dartmoor? I had moments of being scared but for most of the time I was very relaxed. 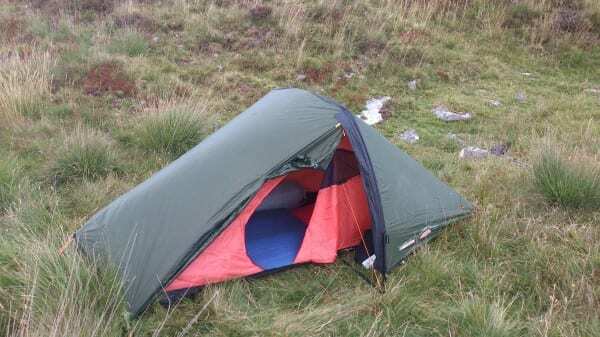 It was interesting to note at exactly which point during my solo Dartmoor wild camping trip the fear started to creep in. I was happy being a woman alone, in the middle of North Dartmoor with nobody knowing exactly where I was, until an army helicopter buzzed around overhead and I realised that ‘someone’ then did know where I was. At that point I zipped up the tent and didn’t come out until daylight. What advice would you give to a woman who is planning a solo camping expedition? Definitely to go for it but maybe to break the challenge down into steps. Go for a longish day walk alone first, then perhaps camp with some friends in the area you are planning for your solo camp. Even if you get a bit chilly, end up eating cold dinner and hardly sleep, you will come home with a story to tell… and another adventure idea up your sleeve! For mountain and hill walking safety advice we would definitely recommend the Mountain Safety website. For information on what to do in an emergency we couldn’t recommend higher than Mountain Rescue. The vital lesson I learnt from this is to have your mobile phone to hand (not in the bottom of your rucksack – there are many waterproof cases available so a mobile doesn’t have to be mollycoddled) and make sure you are absolutely familiar with the procedure for making an emergency call – when you are under pressure it is not so easy to keep calm and and do this in an ordered manner. I think emergency calls can be made even when you don’t have a proper signal? 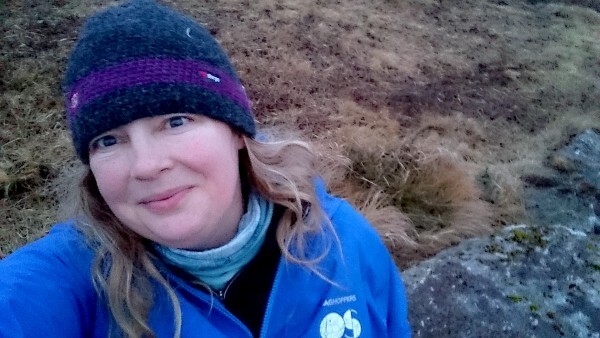 This may sound alarmist, but it was a rare one-off situation and I hope that you ladies will be encouraged by Blonde Two’s good advice and get out there and do some wild camping. Of course the truth is that most of the advice applies for men as well. I take encouragement from that being your only unpleasant experience. I always camp alone for years. A good topic, worthy of thought and comment, even suggestion. I know two women who are avid solo explorers of the world, and in some exotic and remote places. Both agree that a lone woman has to think about their security in ways additional to that a man might give. That said, both have found that in wild places where people are few, contact with others has not been a problem – more helpful and sympathetic than threatening. Their most uncomfortable experiences have been where humans are plentiful and the challenge of a “civilised” group has been greater than that of any lone meeting in a supposedly wilder condition. The greatest discomfort has come where alcohol or recreational drug use by others is a factor and respectful standards of behaviour become lowered. Neither of these women like to camp near such groups, nor to be approached by individuals from them even on “friendly” grounds – they will move away from such conditions even if inconvenient to do so. Both have been robbed but not assaulted, and those robberies took place in built-up areas. Both have mentioned the security of having a mobile phone, although lack of signal and remoteness of location is a factor to bear in mind. Both have also spoken of the usefulness of the camera in a mobile phone, where a picture being taken of “rowdy” types seems to have them keep their distance, perhaps being aware they can later be identified. The bottom line seems to be that if they felt uncomfortable in some situation they would leave it, which might be an irritation but seems sensible. It seems a shame, from the point of view of someone who knows that he is not a threat but likely to be helpful if help is required, that a female in particular has to consider the threat that someone else, likely a man, may potentially pose. I will always greet female fellow travellers/campers, make what I hope is not an unwelcome presence known, let them know where I’m coming from and my intentions, then leave them to their own space, I reckon a brief introduction and some awareness is better than leaving my presence as an uncertain factor to be bothered about. Ladies, all I can tell you is that there are sober and well-inclined men “out there”, we applaud and may take fellow-traveller interest in what you do, we may even offer support in some notion of chivalry or respect, and we are not all potential axe-murders, rapists, or other irritants! If there is something we can do to make your activity more enjoyable, even if that is to keep our distance, you should make it known so as to be an advantage for us all. No-one who wishes you well in your endeavours will take offence at a request that aids your own comfort. It is always good to hear stories from women who have explored on their own. 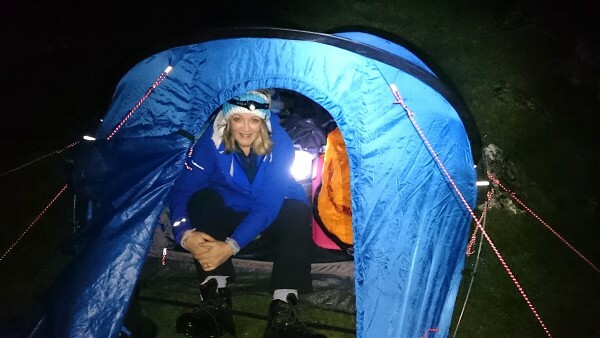 Since I wrote this blog post we have had some great messages through from ladies who have set off either on their own or with other female friends to do a bit of exploring and camping themselves. A good feeling!